It’s a familiar scenario: it’s freezing outside, and a nine-year-old boy wants to go out to play. His mother keeps piling him into more and more knitwear. Groaning ensues. Until that glorious moment when the boy realizes that knitting just might save the day. 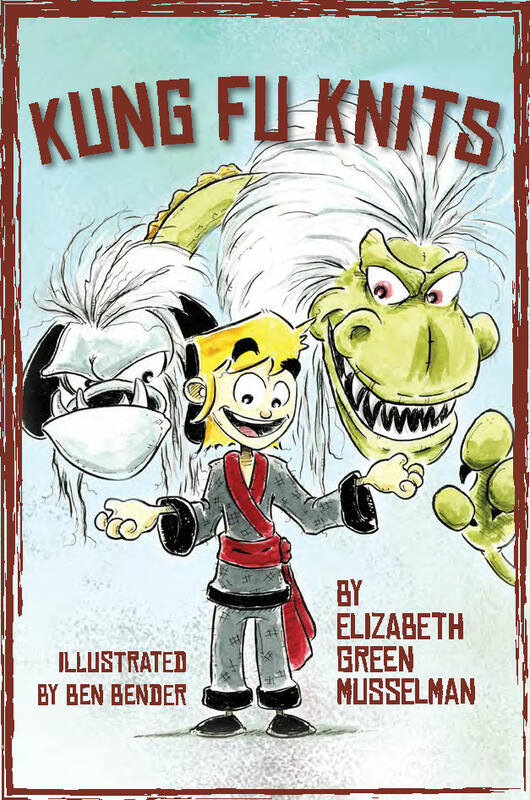 Kung Fu Knits is the first combined pattern book / comic book from designer Elizabeth Green Musselman of Dark Matter Knits. Share the story with your favorite kid and prepare to be begged for every one of these knits. View the two-minute video trailer for this book with your favorite kid! Available from Cooperative Press (print and digital), Ravelry (digital only), and Amazon (print only).